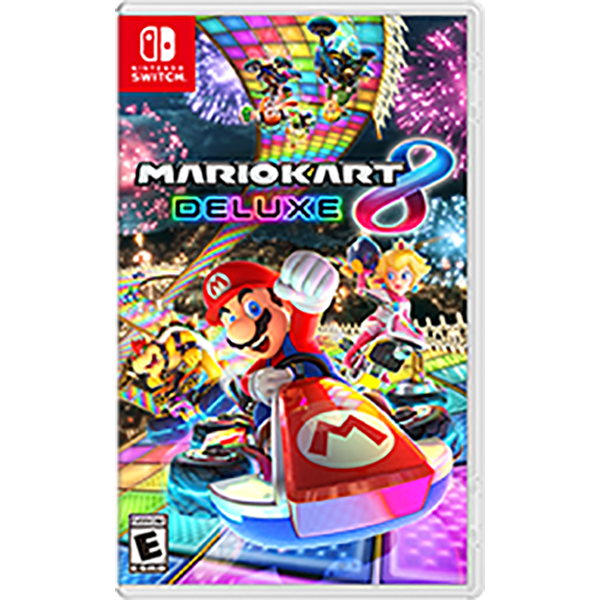 - Race your friends in the definitive version of Mario Kart 8, only on Nintendo Switch! - Race as every character on every track from the Wii U version, including DLC characters and tracks. - Pop some balloons in the revamped Battle mode, complete with Balloon Battle and Bob-omb Blast. - Battle on new courses, like Urchin Underpass and Battle Stadium, or returning ones, such as GCN Luigi's Mansion and SNES Battle Course 1. - Inkling Girl & Inkling Boy from Splatoon, King Boo, Dry Bones, and Bowser Jr. join the roster! - Returning items include Boo, the item stealing ghost, and the Feather, which gives you a high jump in battle mode. - Play your friends in local wireless multiplayer with up to 8 players. Brown students - use your Brown Charge to save 7% on any video game purchase! Take a Pokémon™ journey to the Kanto region with your steadfast partner, Eevee! Explore the vibrant region of Kanto—home to beloved characters like Brock, Misty, and the nefarious trio Jessie, James, and Meowth! Throughout the story, your bond with your partner Pokémon grows stronger as you care for it and travel together. See the world in style by customizing Eevee and your Trainer with a selection of outfits. True-to-size wild Pokémon roam around in the game—catch them like a real Pokémon Trainer by using timing and a well-placed Poké Ball™. Battle and trade with other players who own the game via local wireless or online**. Go on a stroll with your favorite Pokémon in your Poké Ball Plus to level them up, and to receive in-game rewards after returning them to the game. Connect to Pokémon GO* to transfer caught Kanto-region Pokémon, including Alolan and Shiny forms, as well as the newly discovered Pokémon, Meltan, from that game to this one! 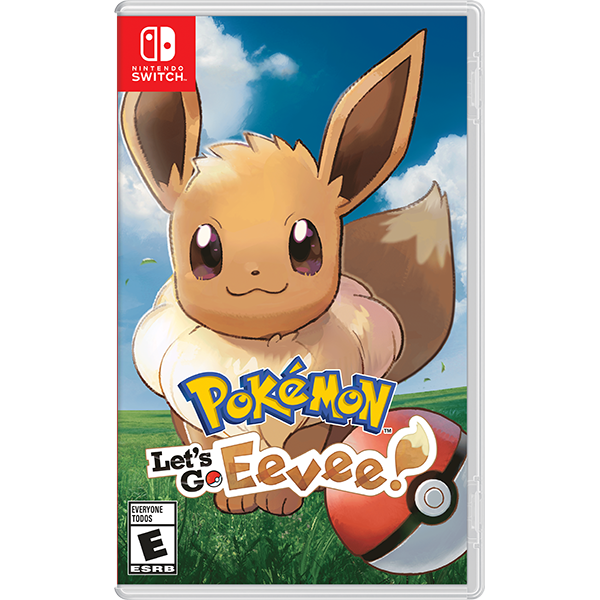 - Become the best Pokémon Trainer on an adventure with Eevee! - Share a Pokémon adventure together anytime, anywhere on one system by using another Joy-Con™ controller or Poké Ball™ Plus accessory (sold separately) to catch and battle alongside another player! - Connect with the Pokémon™ GO* app on compatible smartphones to transfer caught Kanto-region Pokémon, including Alolan and Shiny forms, as well as the newly discovered Pokémon, Meltan! *Pokémon GO application, compatible smartphone and persistent Internet access required. Data charges may apply. 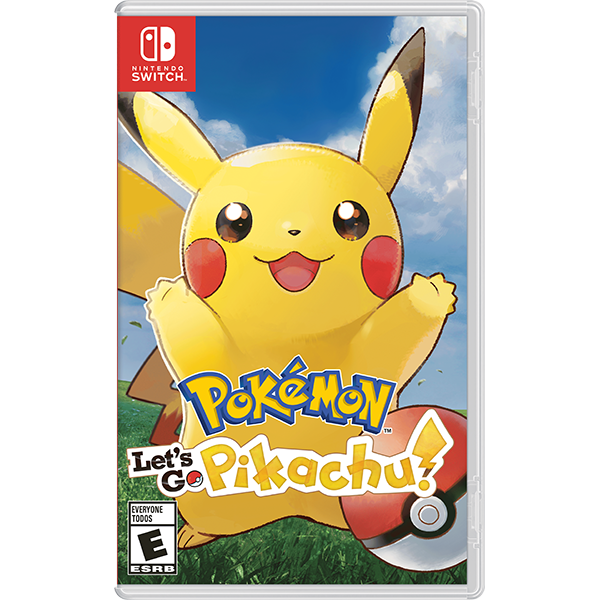 Take a Pokémon™ journey to the Kanto region with your energetic partner, Pikachu! - Become the best Pokémon Trainer on an adventure with Pikachu! 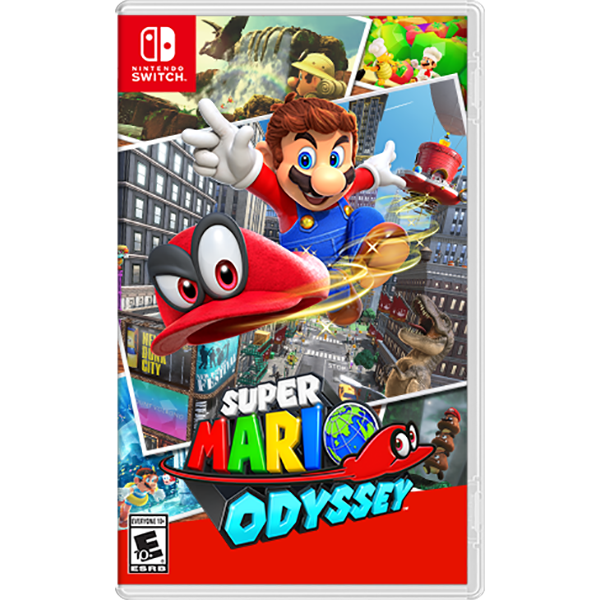 - Explore astonishing new locales like skyscraper-packed New Donk City to your heart's content, and run into familiar friends and foes as you try to save Princess Peach from Bowser's dastardly wedding plans. - Find something interesting? Toss your cap at it and see what happens! There are lots of fun and surprising ways to interact with your surroundings. 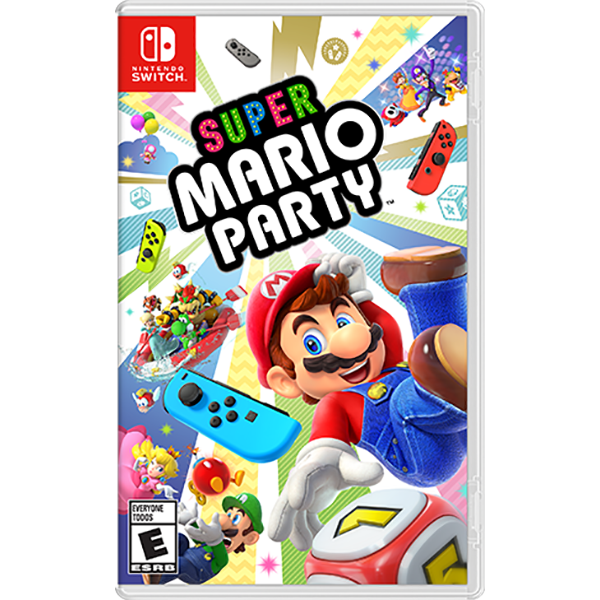 - Hand a Joy-Con™ controller to a friend to enjoy simultaneous multiplayer: Player 1 controls Mario while Player 2 controls Mario's new ally Cappy. - Use Snapshot Mode to freeze time while playing the game and take screenshots that you can customize using various options and filters. Screenshots can be shared via social media or uploaded to PCs and smart devices* using all of the Nintendo Switch™ system's built-in screenshot tools. 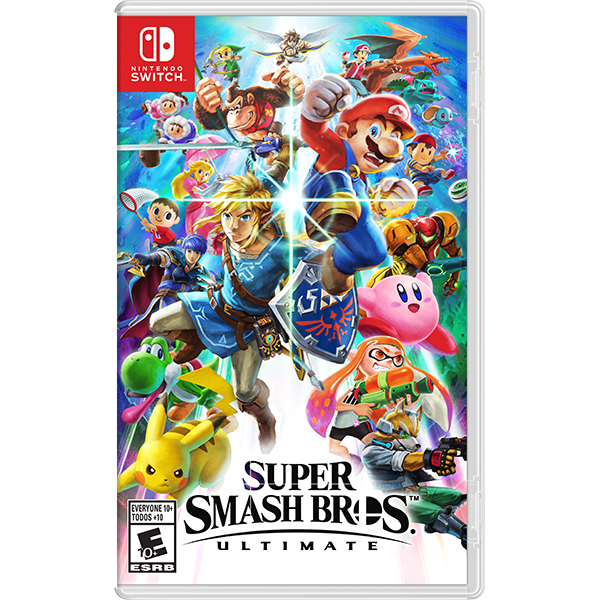 Register your game with My Nintendo by Jan. 31, 2019, and Piranha Plant will join the battle when it's available, around Feb. 2019! 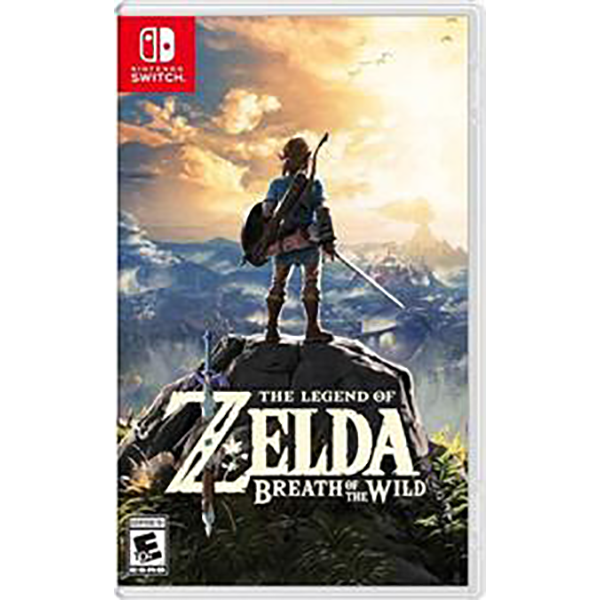 amiibo compatibility - The Wolf Link amiibo from Twilight Princess HD, the Zelda 30th Anniversary series amiibo, and The Legend of Zelda: Breath of the Wild series amiibo are all compatible with this game. Tap the Wolf Link amiibo (sold separately) to make Wolf Link appear in the game. Wolf Link will attack enemies on his own and help you find items you’re searching for. Tap a Zelda 30th Anniversary series amiibo to receive helpful in-game items or even a treasure chest!